Upright, later spreading, evergreen shrub with dark green leaves, spiny branches and bunches of small white flowers in late spring. 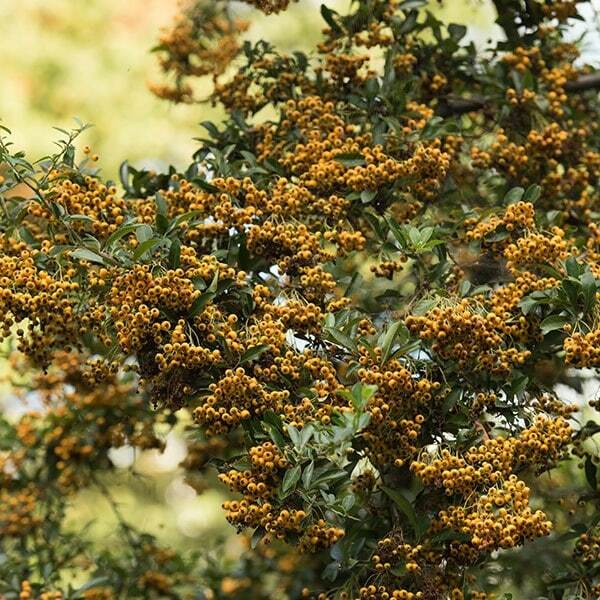 These are followed by a profusion of bright yellow berries in autumn. It is for these showy berries that it is grown, providing colour in the garden when there is little else. 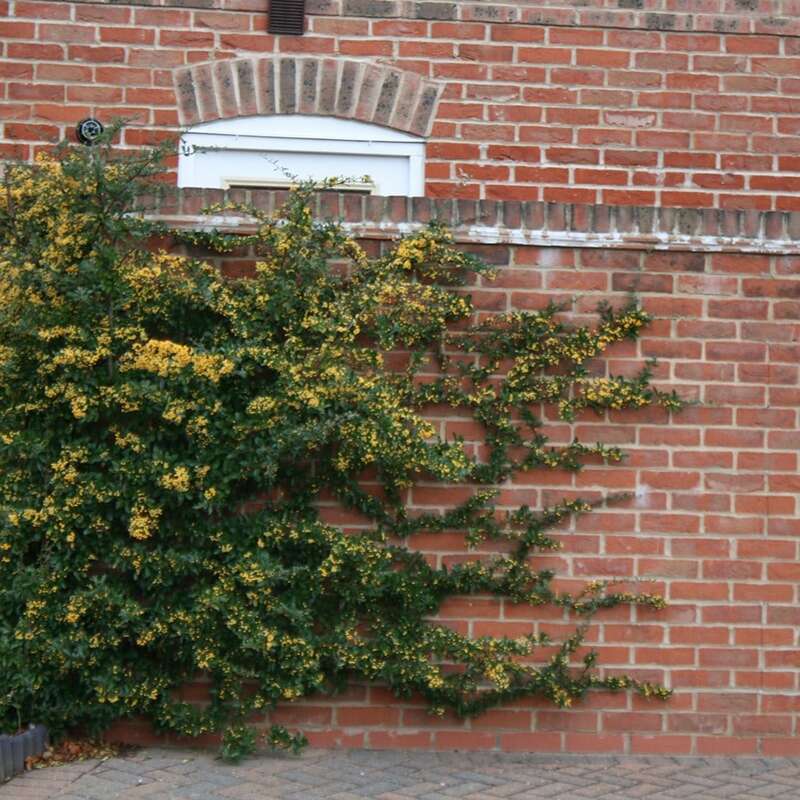 It can be grown as a free-standing shrub, against a wall or as a hedge. I bought this plant to put in a mainly shaded area in front of a very high wall. It has put on quite a bit of growth and I have had some lovely yellow berries this winter. I am looking forward to seeing it in bloom with its lovely white flowers. I bought three plants to form a hedge and act as ground cover on a piece of land at the front of my property. These Pyracanthas are perfect. They have grown quite fast to fill the space and I bought three plants, one of each colour and now they are covered in beautiful berries: red, orange and yellow. In the Spring they have beautiful flowers. They are a really good and attractive space filler.